about this book: The Shield of Soren is the second book in the Light and Shadow Chronicles. 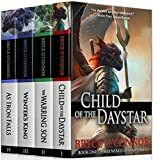 This is a truly unique series in the world of epic fantasy. Each book tells the story of a single character and their role in an eternal war which has plagued the world since time began. 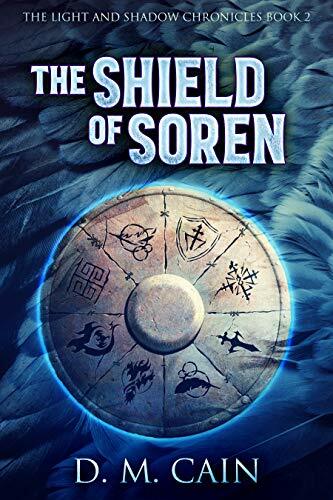 The Shield of Soren follows a mischievous ten-year-old boy called Soren Nitaya. He is the prince of Alcherys and will one day take over from his mother as head of his nation. However, Soren is more interested in causing trouble than taking over the helm, despite his marked talent from an early age. This book follows Soren as he unwittingly gets himself into a deadly situation, and is forced to travel deep into his enemy's kingdom. The clock is ticking away for Soren, and all of those around him. If he cannot get there in time, the evil Brotherhood of Shadow could wipe out everyone and everything he loves.